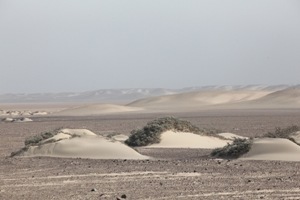 As we drive south through Namibia, the gravel roads wind through rugged hills which give way to flat desert and then to dunes. 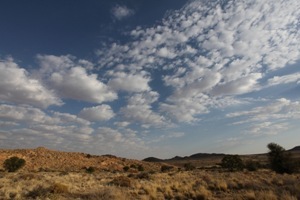 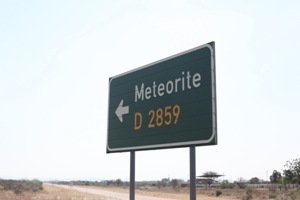 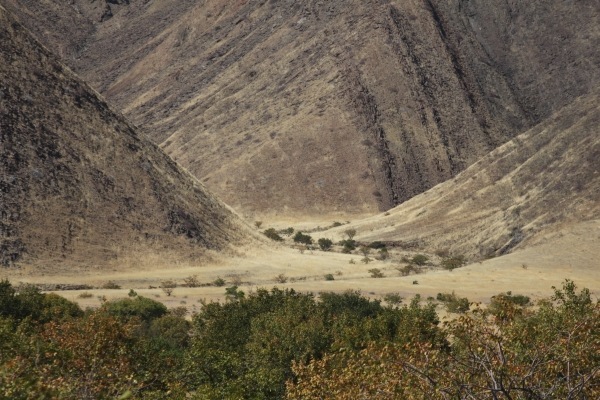 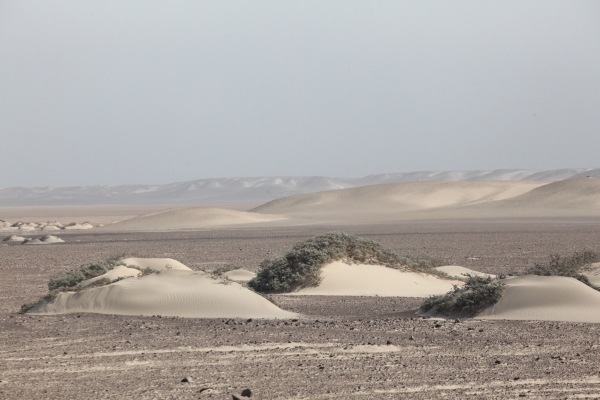 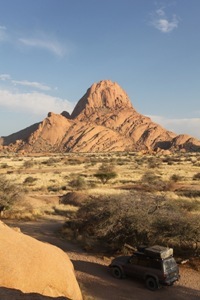 Namibia has unique geology and incredible natural sites. 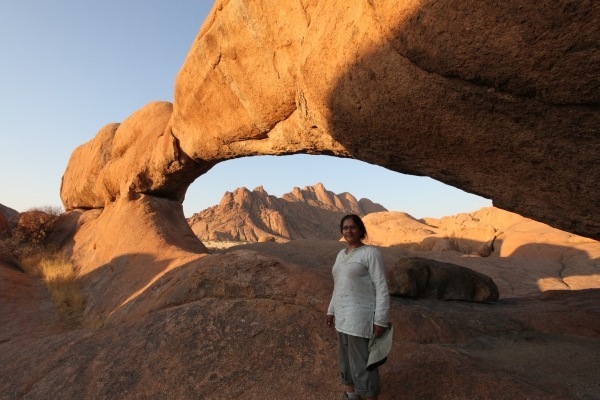 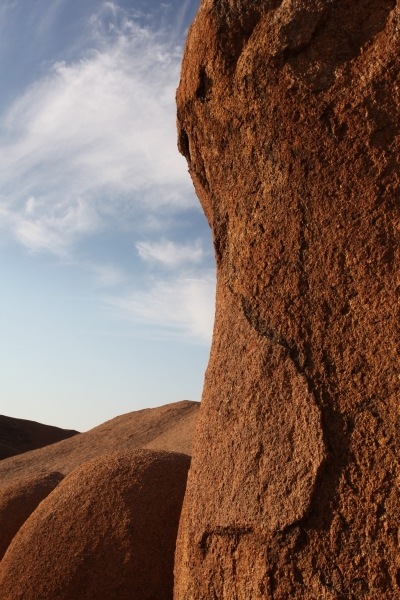 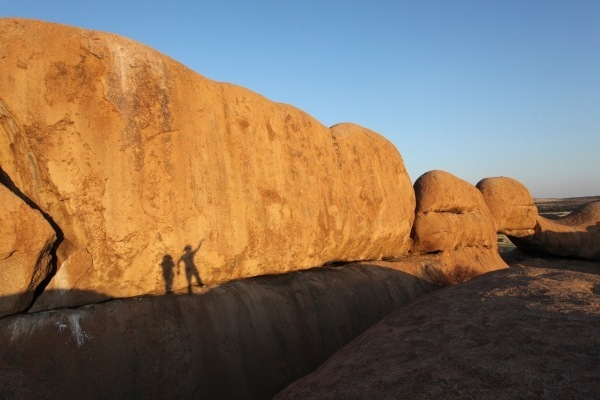 Spitzkoppe, has amazing rock formations, and camping amongst the boulders was as close to wild camping as we have come to for a while. 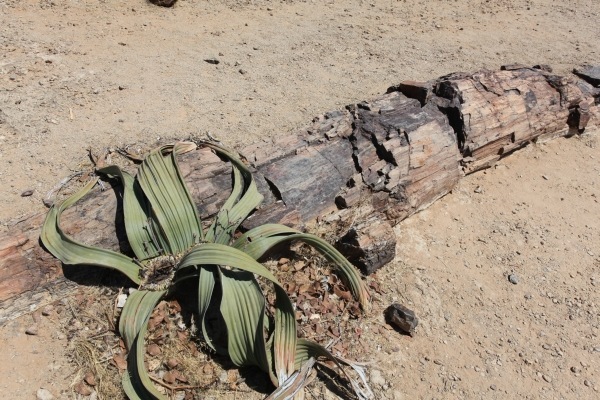 Nearby is a petrified forest, with huge petrified tree trunks up to 34m long and estimated to be over 260 million years old! 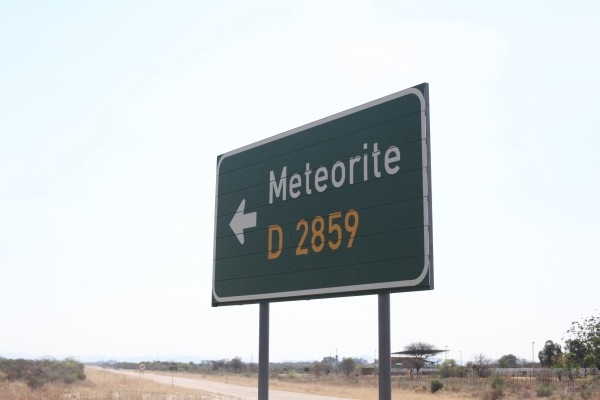 And not forgetting the world’s largest meteorite, discovered in 1920 and said to have fallen to earth around 80,000 years ago. 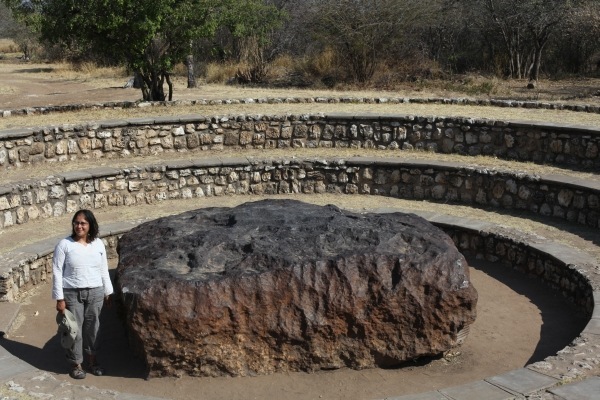 It weighs 54,000kg! 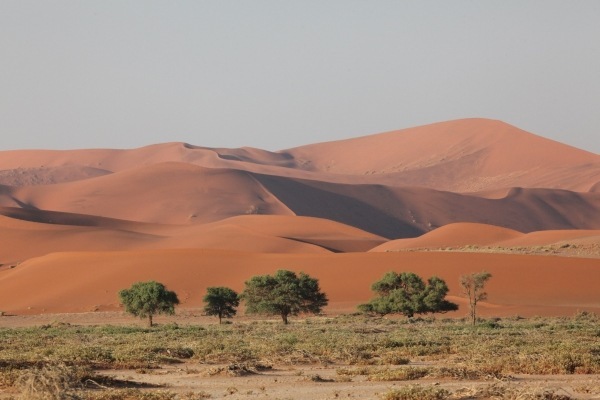 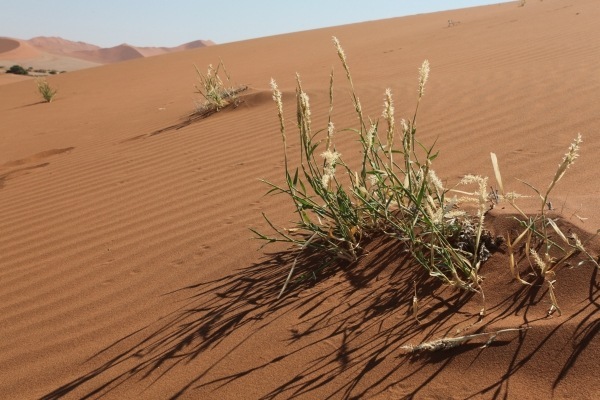 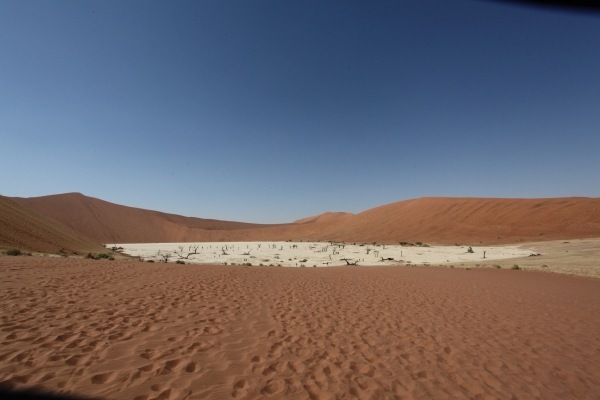 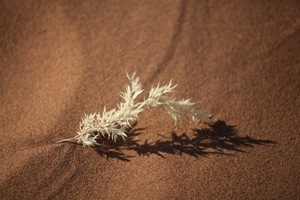 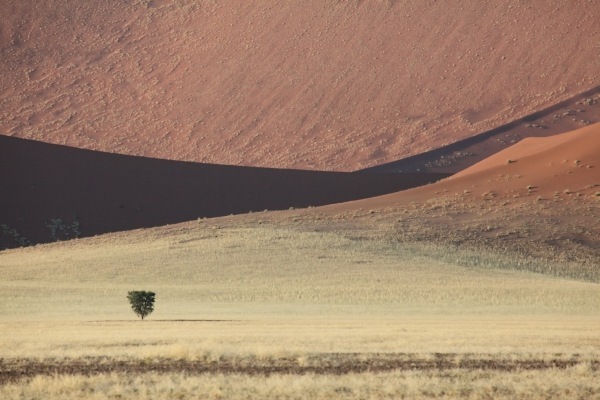 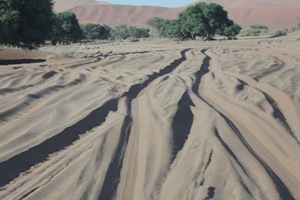 And then of course, in the south, there are the beautiful dunes at Sossusvlei. 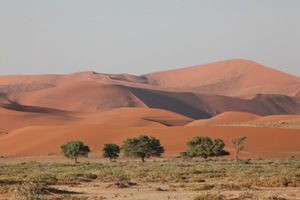 So popular is the race to see sunrise from the top of Dune 45, that at 5am, just before the national park gates open, we can see a traffic jam along the main entry road. 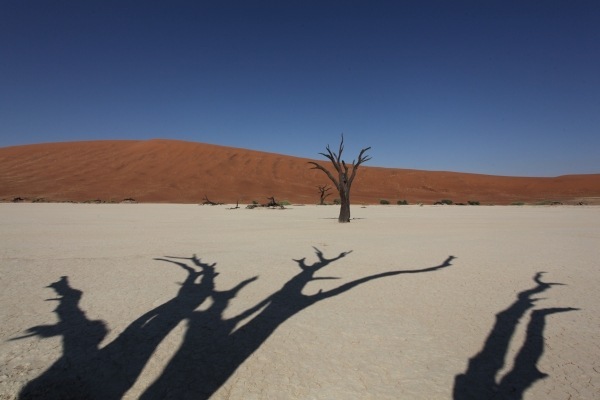 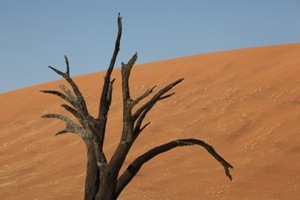 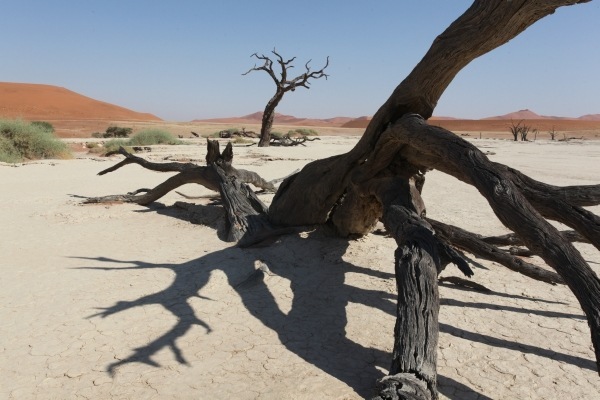 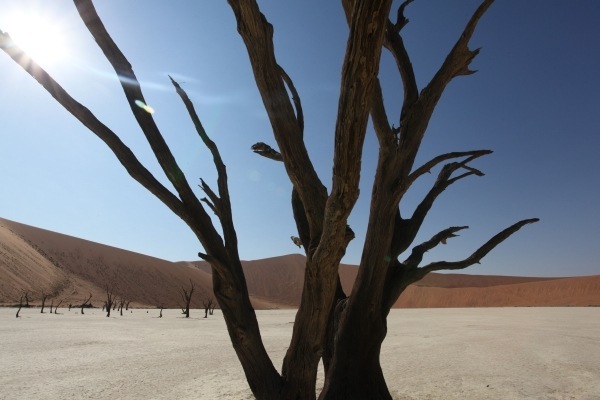 We make a slightly more leisurely entrance an hour later and head straight to Dead Vlei (meaning Dead Lake), where many photographers have taken iconic images of the dead tree trunks scattered around the dried clay pan and surrounded by some of the highest dunes in the world. 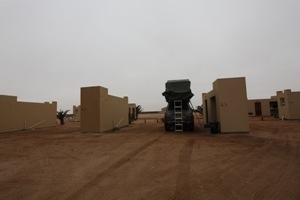 In contrast to the natural beauty, the abundance of space in the desert also allows for strange things to be constructed, like the campsite in Henties Bay where every pitch has its own ‘en-suite’ loo and shower. 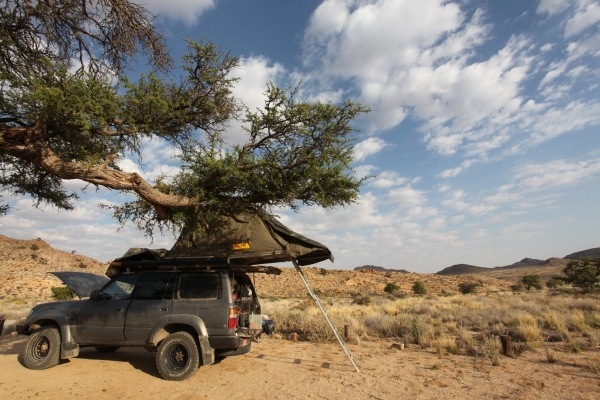 Whilst it lacks the feeling of being surrounded by nature, we were glad to be here rather than at the desolate and blustery camping spot on the beach simply known as Mile 108. As legendary as it is for those driving up the coast, the cold and wind just wasn’t that appealing! 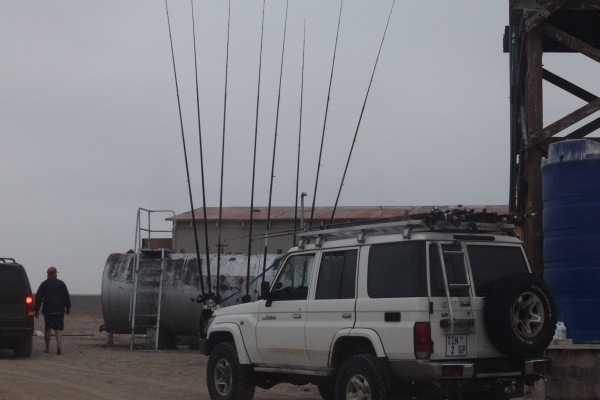 Even some tough guys on a fishing trip drove back out again with all their fishing rods hooked to the front of their cars, and carried on further north in search of an inland option instead! 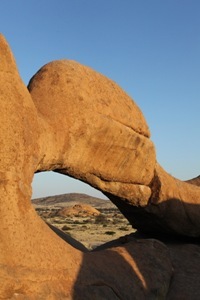 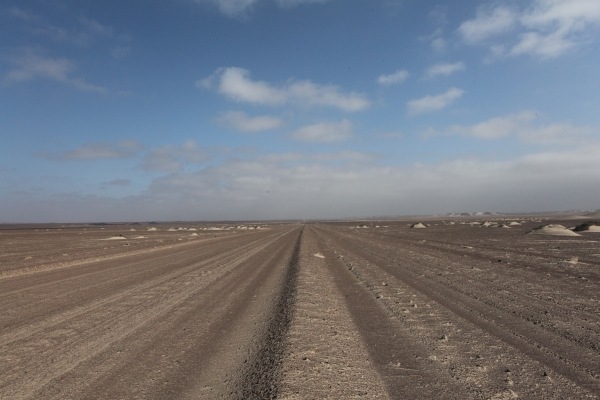 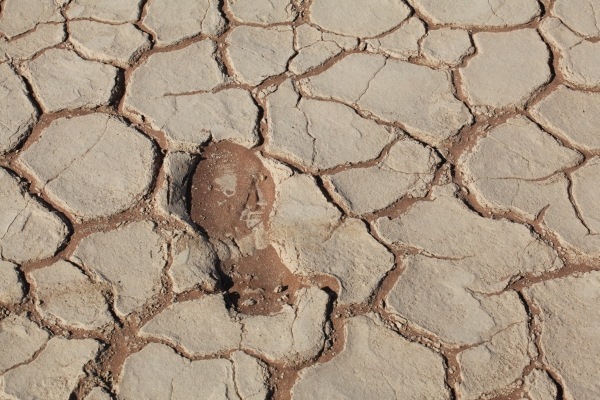 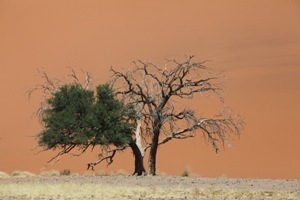 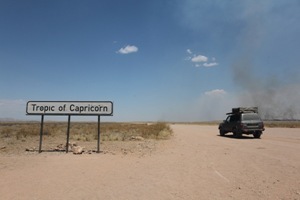 As we drove south through Namibia, the desert continued to throw up weird and wonderful apparitions. 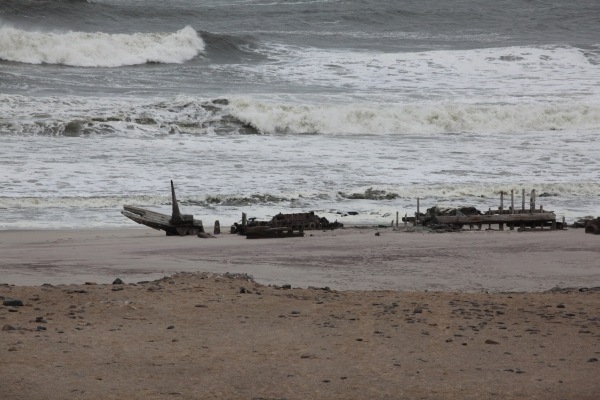 Like the ship wrecks strewn across the desolate beaches of the Skeleton Coast. 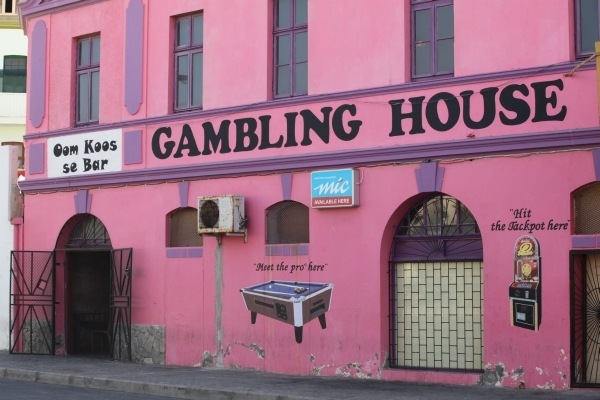 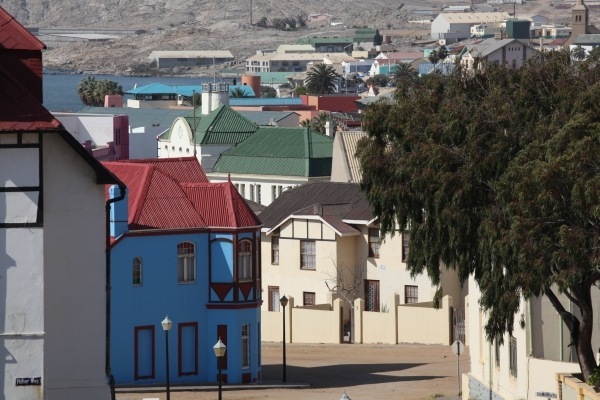 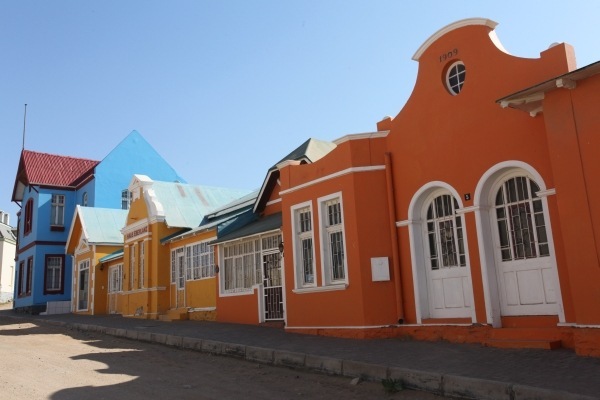 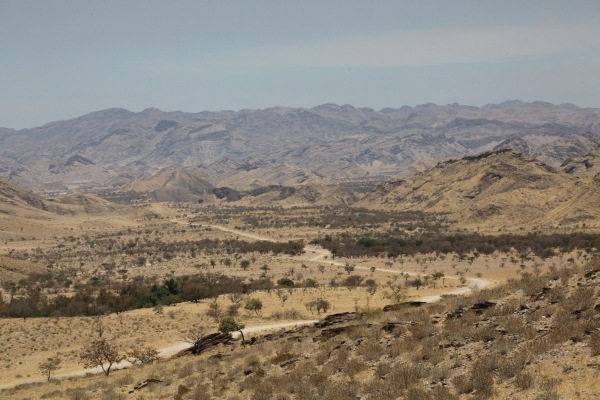 And like the towns of Swakopmund and Luderitz, where German colonists tried to re-create late 19th century Germany along the desert coastline. 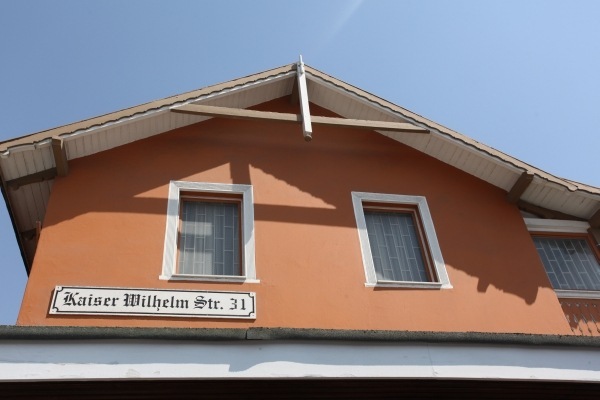 The towns are incredibly well manicured, giving the feeling of being in some strange Disney GmbH creation that has been caught in a time warp! 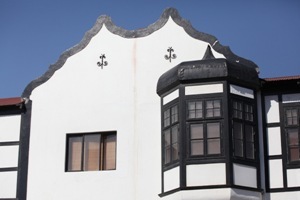 Even today, many of the restaurant menus are in German and there is fabulous Black Forest Gateau and Apple Strudel to be had. 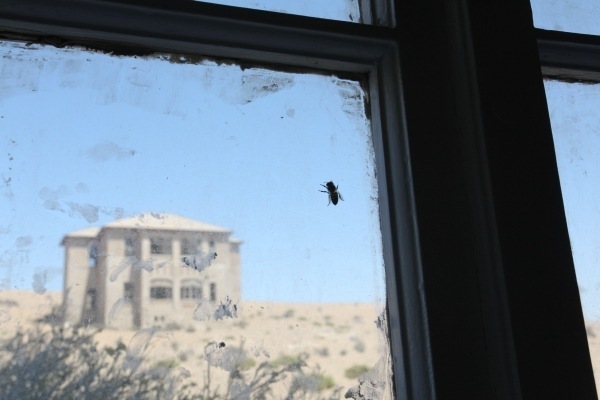 There’s even an old German-built castle in whose grounds we could camp – can’t imagine the Queen allowing that in Windsor! 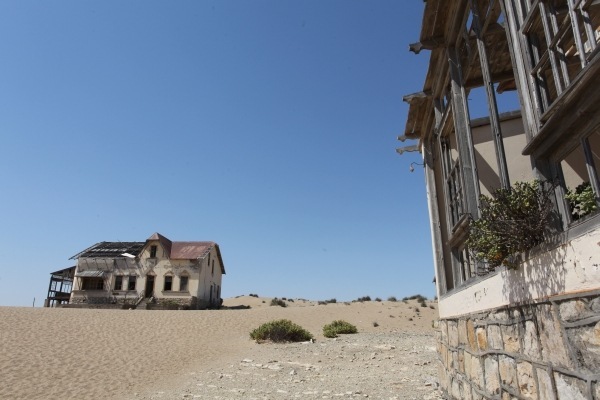 At the other extreme is the deserted diamond mining town of Kolmanskop, with many of the crumbling wooden residences being invaded by sand. 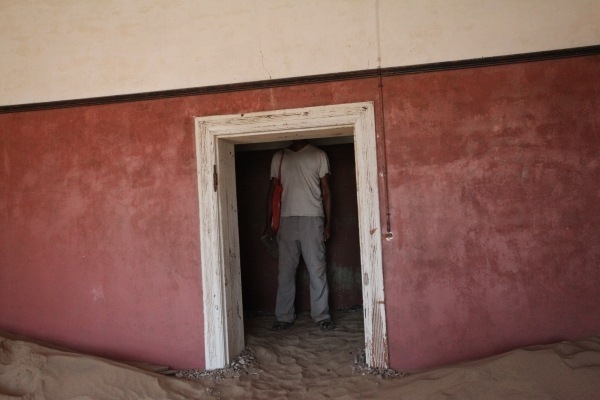 Unfortunately the restoration has been a bit heavy handed and the ramshackle feel of this ghost town is being taken away (probably for health and safety purposes in case someone falls through a floorboard!) There was a fascinating exhibit though on how people used to (and likely still do) try and smuggle diamonds out from the mines – everything from hiding them in shoes, watches, books and briefcase handles to ingestion to tying them to pigeons that they breed to get them over the fence. 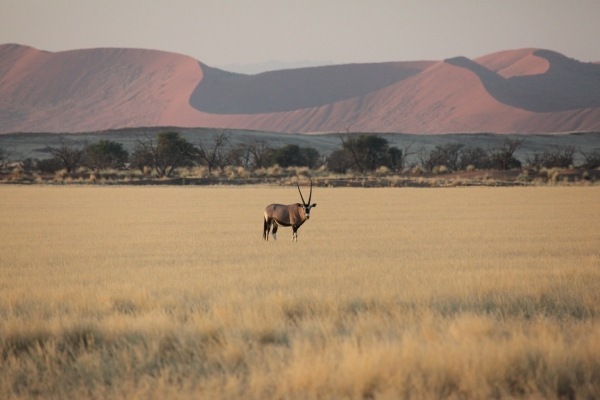 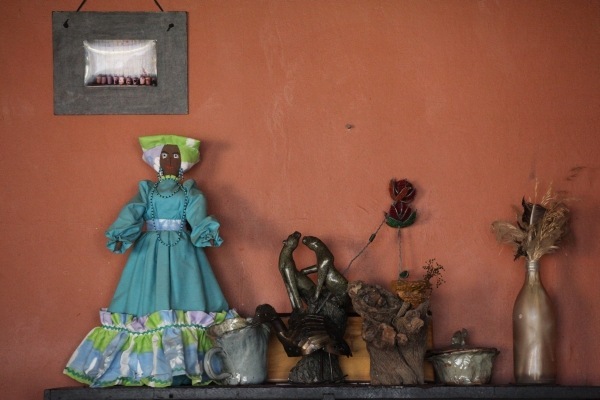 Even after our second visit to Namibia, where we barely re-visited places from our previous time, we’re already planning another trip along a completely different route!